Welp, I fell into a pile of glitter and came out looking like Mariah Carey’s ugly kid sister. Purists can hate on edible glitter all they want, but they can’t deny that it turns otherwise regular old ‘doodles into party doodles. Fashion doodles, even! And come to think of it, a dusting of glitter could take nearly all doodles—Golden Doodles, Labradoodles, Saint Berdoodles (yes, they’re a thing)—from monochromatic to dynamic. As someone who received one tube of pink facial glitter from my cool babysitter when I was eight, then used pea-sized drops on my nonexistent cheekbones for the next ten years (and only on the most special occasions), I’ll gladly admit that I’m as attracted to glitter as the next silly human. Oooh, sparkly! is just about the only thought that goes through my head when I see something that catches the light in the right way. These churros have lots of sparkle, without the funny business. While these snickerdoodles certainly do not need glitter—they already have lots of tricks, like cornflakes, cardamom, brown butter, Chris Morocco’s blood, sweat, tears (a.k.a. “love”)—their appearance certainly benefits from it. Edible glitter is the wellness serum that gives otherwise dull cookies that festive glow appropriate for a season alight with Christmas trees, Hanukkah candles, and your cell phone screen as you scroll mindlessly through the web before bed. It’s glitter that makes them stand out at the cookie swap or holiday potluck before anyone’s even had a chance to taste. But consumable glitter can—and has, in many instances (see glitter lattes and gold wings)—gone too far. Put simply, to use sparkles as a crutch is an abuse of their power. To judge whether glitter is a welcome accent rather than a hasty cover-up or just straight-up Instagram bait, I think about my romantic partner dressed up in a fancy outfit. I want to love the person (or food) whether or not it’s adorned and I don’t want the decoration to be so over-the-top that it makes the person (or food) off putting or unrecognizable. A bagel that looks like it’s going to corrode my esophagus or a pizza that may or may not be molding is too much glitz: What’s fun about questioning whether I’m about to incur bodily harm from a metallic sprinkle mix that’s non-toxic but not necessarily edible? Where’s the joy in setting myself up to, pardon my language, crap rainbows? But when you’re grasping for a little extra holiday magic, you have my blessing—for whatever that’s worth—to reach for the luster dust. Just make sure it’s clearly labeled “edible,” okay? *And yes, I am available for all your inspirational speech needs. There’s no other way to say this, but this pumpkin bread is moist. (DEAL WITH IT.) It’s even moister—which isn’t a word—the day after baking. 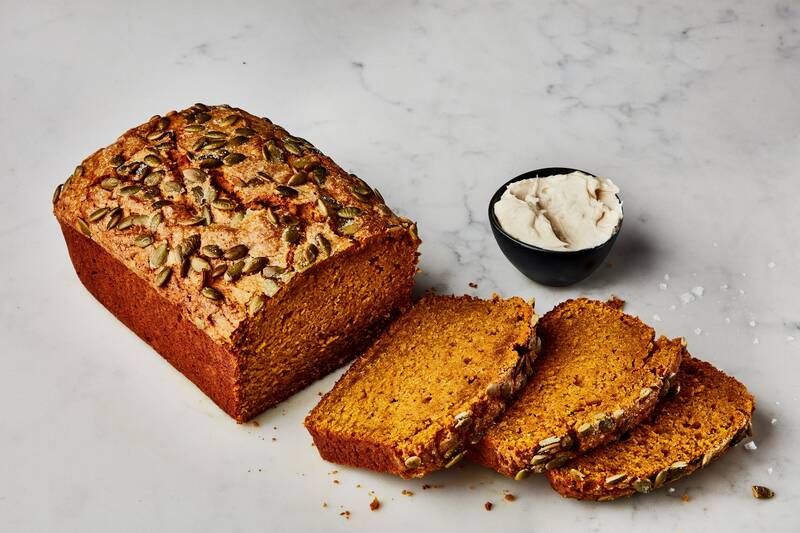 No one wants a dry pumpkin bread, a mouthful of over-spiced regret, and no one certainly wants a mushy loaf, a soggy forkful of fall’s failings. We want a moist loaf. M-O-I-S-T. Find out what it means to me. It means a lot. And to Molly Baz too. She developed this new recipe and didn’t want a typical vegetable oil quick bread. “Let’s resurrect the pumpkin bread from its sad sorry Starbucks state!” She declared. Okay!!!! Olive oil brings a buttery, barely grassy note that goes well with pumpkin (“because pumpkin…comes from the earth,” she told me to which I replied 🤔) and it’s what makes the bread moist but never mushy. Molly played with the ratio of flour to fat for weeks until she reached perfection. And since I tasted it, I can concur. Perfection. What else is inside this thing? A heaping dose of AUTUMNAL FLAVOR, that’s what! Cinnamon, nutmeg, a pinch of clove. This specific canned pumpkin. And fresh ginger, not the dry powder stuff. “I didn’t use pumpkin spice mix because I don’t believe in all the spices in that blend,” said Molly. She doesn’t believe in ground ginger. “People use ⅛ teaspoon a year and then it gets stale and flat in their pantry. Use fresh!” It brings a spicier, more dynamic flavor. On top we’ve got a rooftop of crunchy pumpkin seeds and sugar to make the whole thing shimmer in the evening moonlight. “Basic b*tches love glitter and so do I, let’s be honest,” said Molly. Don’t forget the side dish of whipped maple butter, light and airy and just a bit salty. It’s best made with an electric mixer, but you can paddle the maple syrup into room temperature butter with a spatula if you can’t be bothered. It won’t be as fluffy, but you’ll have maple butter. There are worse things. If you’re reading this, you’ve probably heard of Drunk Elephant. Because whatever instinct steered you to a website called Healthyish probably also led you to this “it” healthyish beauty line. 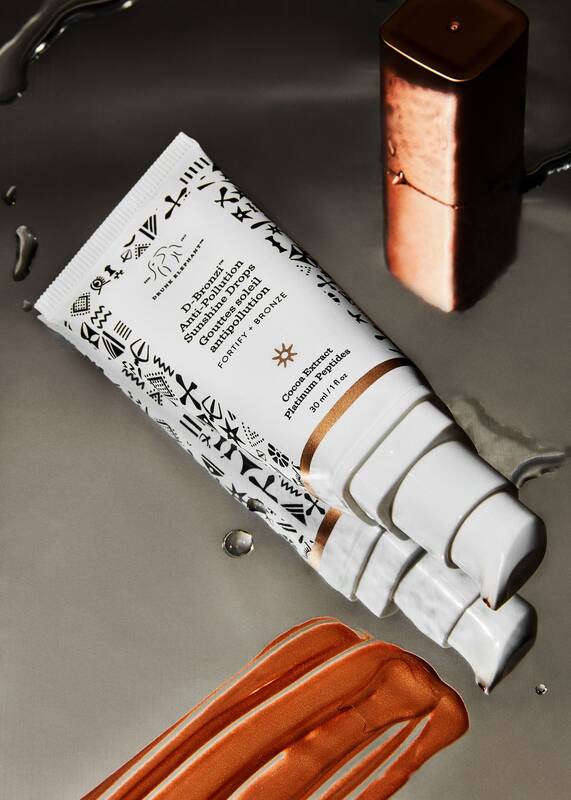 Free of controversial ingredients like silicones, drying alcohols, and fragrances, Drunk Elephant was one of the first brands to hit the skincare scene, and it surpassed the competition quickly after. 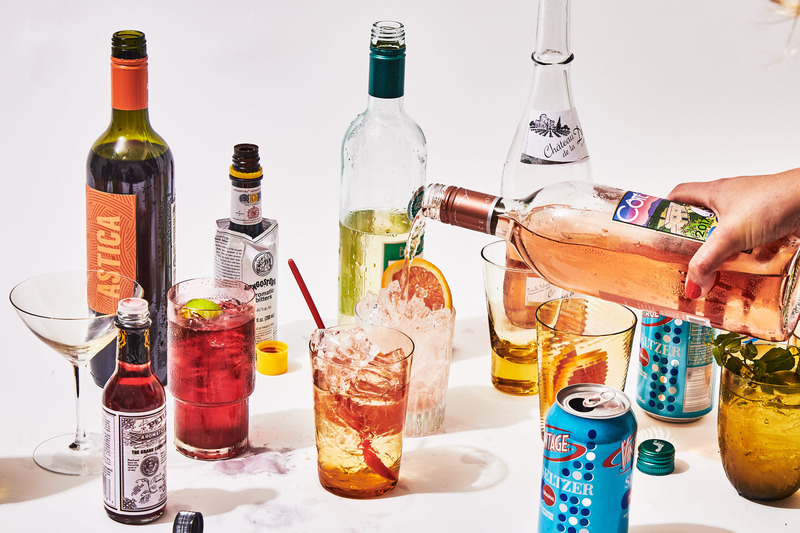 Do a quick Google-search for “Drunk Elephant reviews” and it’ll pull up pages and pages of gushing testimonials and breathless “I tried it!” blog posts. Unlike other natural skincare brands, which often skimp on science, founder Tiffany Masterson created the brand to be both clean and clinical, meaning the products still pack a punch. All you have to do is feel the tingle of the T.L.C. Framboos Glycolic Night Serum to know that that stuff is working. So I was eager to take the D-Bronzi™ Anti-Pollution Sunshine Drops, which launched this summer, out for a test drive. (Plus, I need to troubleshoot my dark olive skin, which in the winter turns so sallow that I look like I’m one Bloody Mary away from jaundice.) If you can get over the name “D-Bronzi™ Anti-Pollution Sunshine Drops,” which took me a week because I knew I would have to type it multiple times, you then have to go through the work of trying to understand what, exactly, this is. Is it self-tanner? Antioxidant serum? Bronzer? All of the above? Technically, it’s a bronzing serum, which means that it has the deep, nutty color of a serious bronzer paired with, yes, an antioxidant serum. There are also hydrating fatty acids and peptides in the formula, which are beneficial for all skin types. But, even so, the anti-pollution benefits touted in the name seem like more of an afterthought. (It’s a nice afterthought! But it’s still an afterthought.) That’s partly because the pigment is so concentrated that it looks and acts far more like a makeup product than skincare. Masterson says you can mix the D-Bronzi™ Anti-Pollution Sunshine Drops (ugh) with a number of things, like other serums, oil, sunscreen, or moisturizer. I first mix it with my moisturizer, and am immediately impressed by how sheer and subtle the glow-enhancing effect is, as though I spent a three-day weekend on an alpine hike. It also gives my skin a dewy finish, which I’m very into—until I remember that I still have to put on sunscreen. The SPF blurs out most of the sun-kissed color, and I’m back to square one. The next day, I mix it with my sunscreen. I usually wear sunscreen that’s fairly liquid in texture, meaning it blends in easily and never looks chalky. But the sunscreen and bronzing serum together make me look a little too dewy, like I ate a Whopper Junior with cheese late last night and now, in the early light of dawn, all of the grease is finally emerging from my pores. And I already have oily skin! No, thank you. Finally, I go off-label and combine it with my foundation. (It’s IT Cosmetics Your Skin But Better CC+ Cream Oil-Free Matte with SPF 40, in case you too emit more grease than a drive-thru window.) The matte, oil-free foundation blends seamlessly with half a pump of the D-Bronzi™ Anti-Pollution Sunshine Drops. The resulting mixture gives me everything I want: glowing skin, a fresh finish, and just enough coverage to trick people into complimenting my skin. And protection against pollution, I guess. I really like the D-Bronzi™ Anti-Pollution Sunshine Drops now that I’ve figured out how to pair it. It’ll take some experimenting for you, too, since everyone’s routines and skin types vary. Find the right delivery method, and you’re golden.